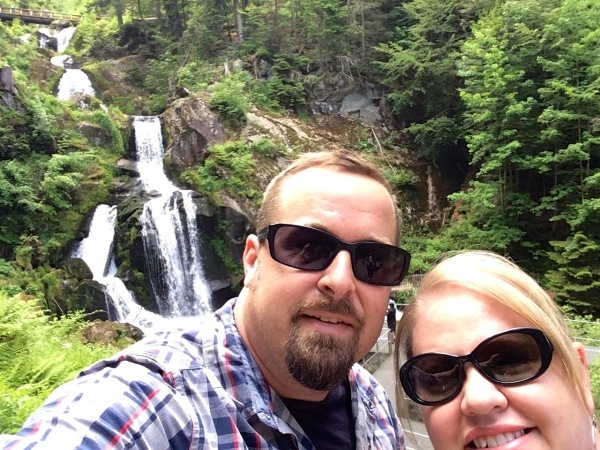 Today we went to the town of Triberg, Germany. 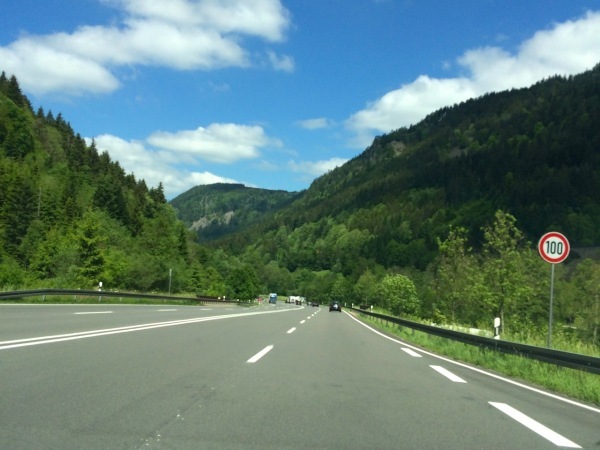 Even though the drive is only about 2 hours from Stuttgart to Triberg, we had some "user error" in our GPS route preparation and it ended up taking us about 3.5 hours to get there! 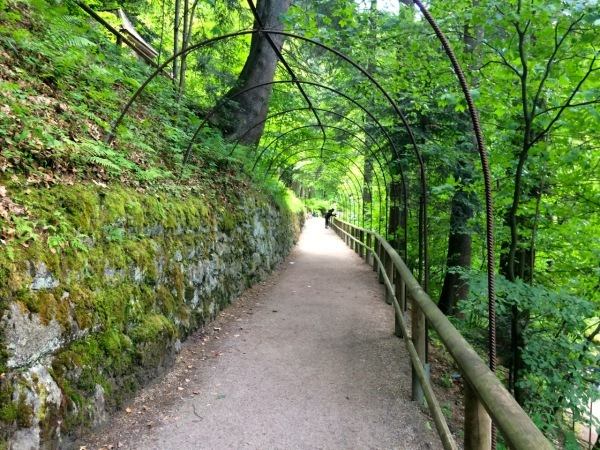 The route we took; however, was gorgeous and wove us through parts of the area in and near the Black Forest I'm sure most people don't see because they don't take such an obscure route to get there! We left Stuttgart at about 9:30am and got on the Autobahn early. 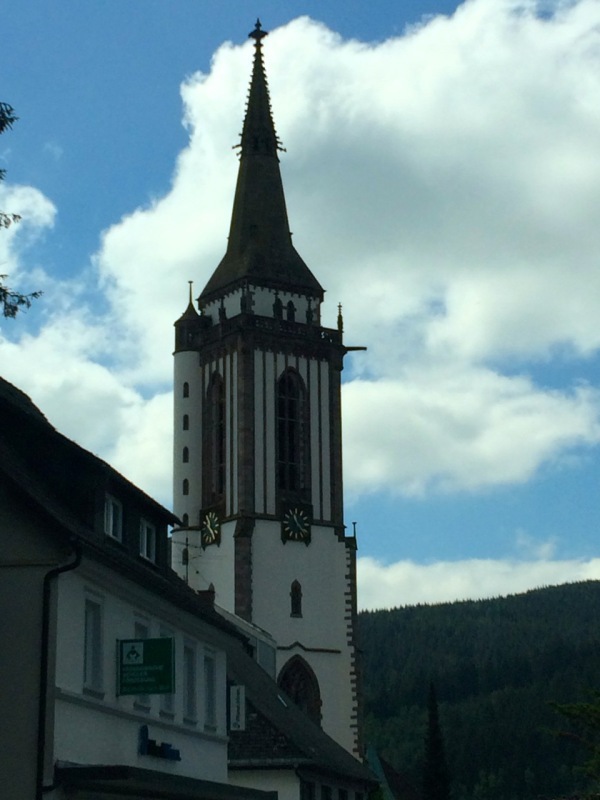 Our route took us through the smaller town of Titisee-Neustadt where we stopped just to see the church, which we spotted from the highway. It was beautiful and we just wanted to see it up close for ourselves. After a brief detour, we got back on the highway and made our way to Frieburg, Germany. 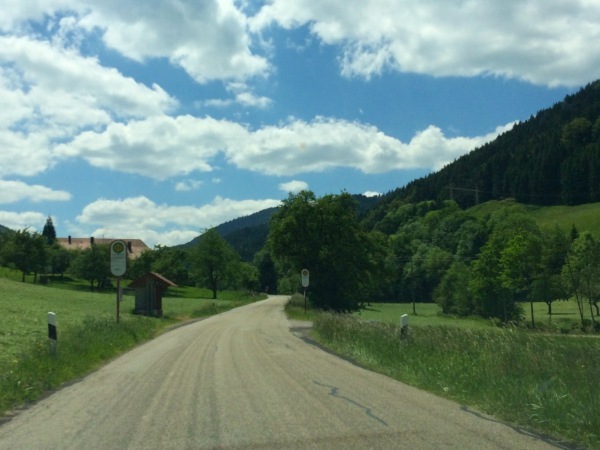 This was where we had crossed our signals, and realized that we weren't aiming for Frieburg, we wanted to see Triberg! 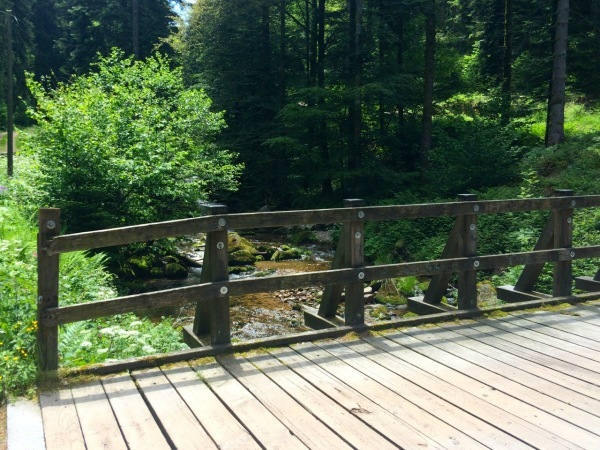 So, we had our GPS take us to Triberg from Freiburg, and we found some cool stuff to take pictures of along the way. The moisture makes everything here so green, so all of the fields and forests we passed were just gorgeous. 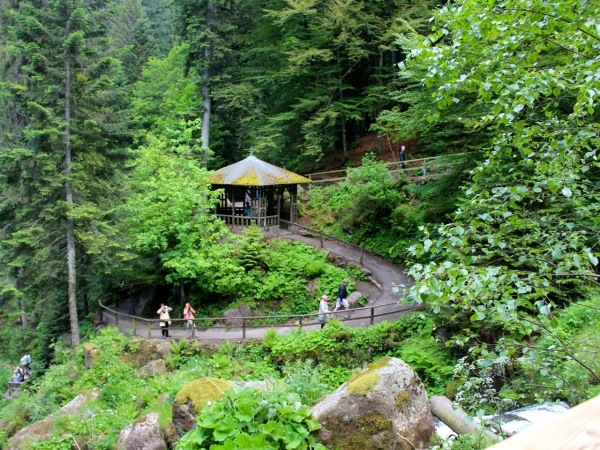 Triberg is world famous for being home to the world's largest cuckoo clock. 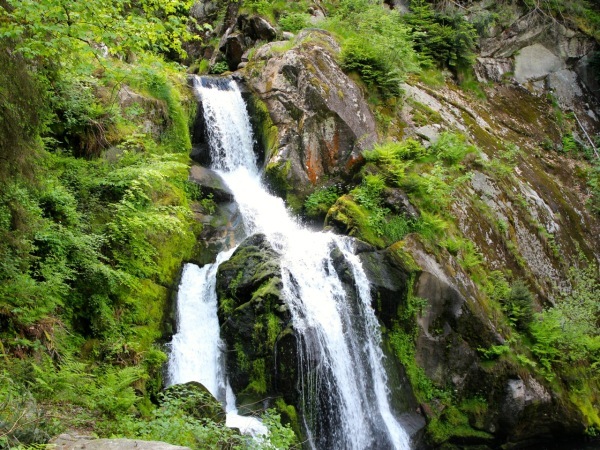 It is also home to Germany's tallest waterfalls. We got to see both! When we got into town, we found a place to park and got our gear and found a place to eat (surprise!). 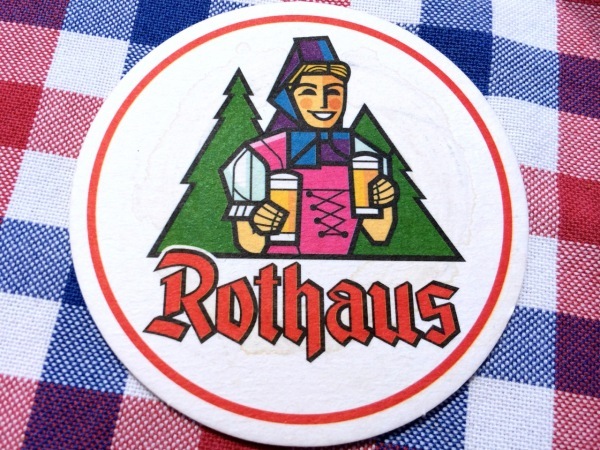 the restaurant we chose was the "Rothaus" and was about as close to the trailhead for the waterfalls as you can get. Then we ordered a beer (another surprise!). 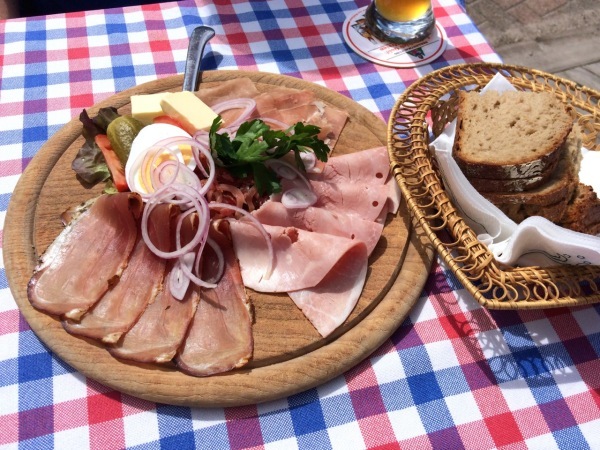 For lunch, we had a selection of Germany items, including a couple variations of Black Forest Ham, pork chops, meat loaf, fresh bread, and smoked bacon slices. Cooper had the Spaghetti Bolognese. We enjoyed our lunch on the patio at the Rothaus and used the restaurant's private entrance to get to the trailhead for the waterfall. It cost us 4 Euro each to use the trail, Cooper was free. We got through the turn-style and hiked the short but steep walk up to the three different observation decks for the waterfalls. It ws beautiful and we took LOTS of pictures. Cooper enjoyed the ride in his stroller! The trail is a loop, so once we were done, we found ourselves back at the restaurant where we started. 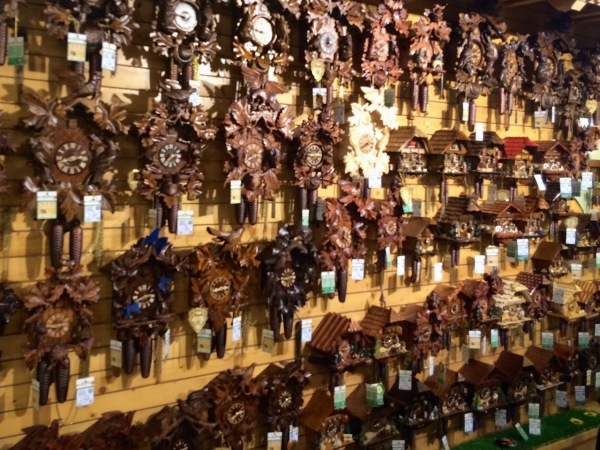 Once we got back into the town of Triberg, we kept walking to check out the cuckoo clock gift shops and to do a little window shopping. We really liked the "1000 clocks" store with it's animated bear clock and cuckoo clock above the main entrance. Check out the bears in the video. Inside, it is cuckoo clock city. We will definitely be bringing folks here to buy that true German souvenir! They range from 19 euro all the way to 12,000 euro!!! 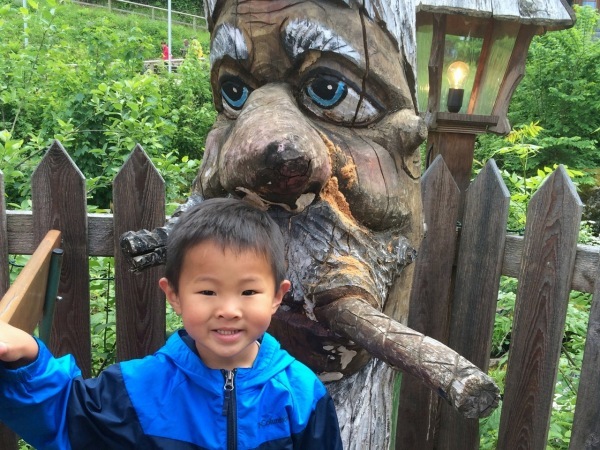 Once we had had enough cuckoo clocks, we found some ice cream (surprise!) and decided to head out of town. 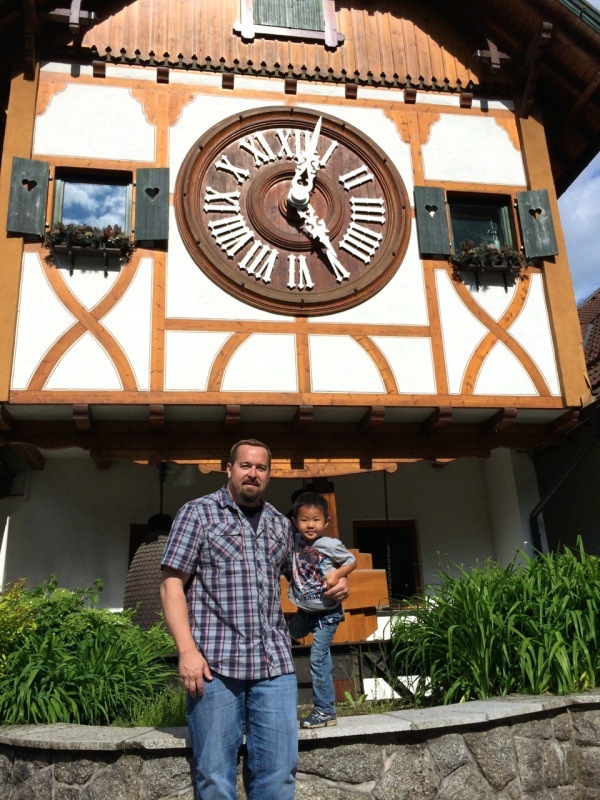 Along the way, we stopped at exactly 5pm to check out the "world's largest cuckoo clock." While there is no doubt in my mind it is probably the largest, it also might be the most boring! But, check it off the bucket list. We bought some postcards at the gift shop and were back on the road by 5:30. We made it home by 7:30 and Cooper got some play time in at the play ground before it was time for bed. What a day!